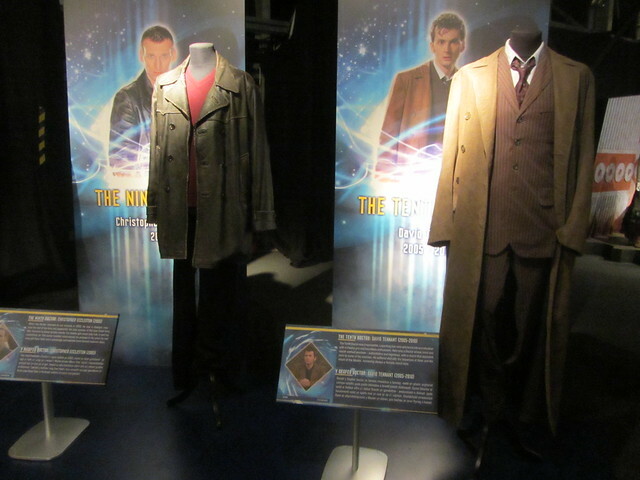 I've been meaning to go to the Doctor Who Experience for months but somehow never found the time despite being a huge fan of the show. I finally managed to pop along in the week and had a lovely afternoon. For any of you that have ever met me you know I only talk about a few things: northerners, my dog, cake, Doctor Who and Sherlock so I spent most of my time in the exhibition space fangirling over everything. 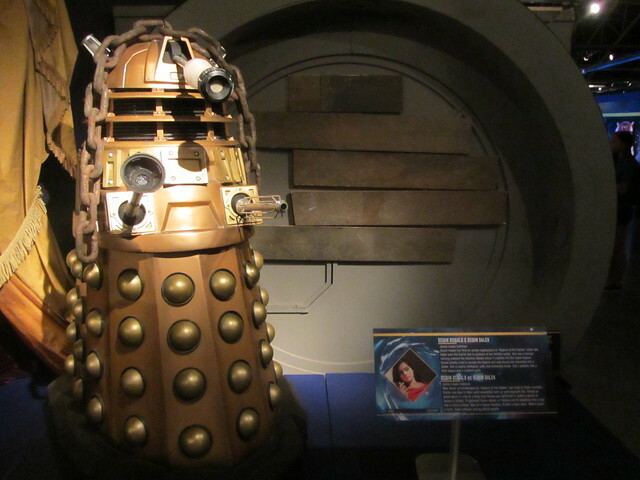 You start with and interactive journey stepping through a crack in time which leads to an adventure before exploring the world's most extensive collection of original Doctor Who props. Exciting stuff. 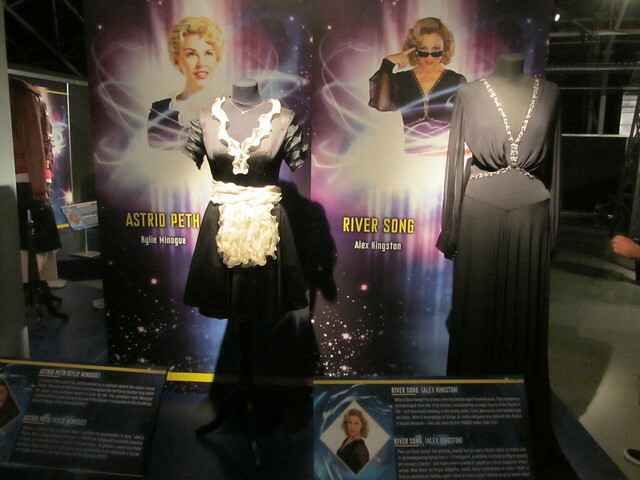 I got to see all the Doctors' iconic costumes from 1963 onwards. David Tennant touched this!!! 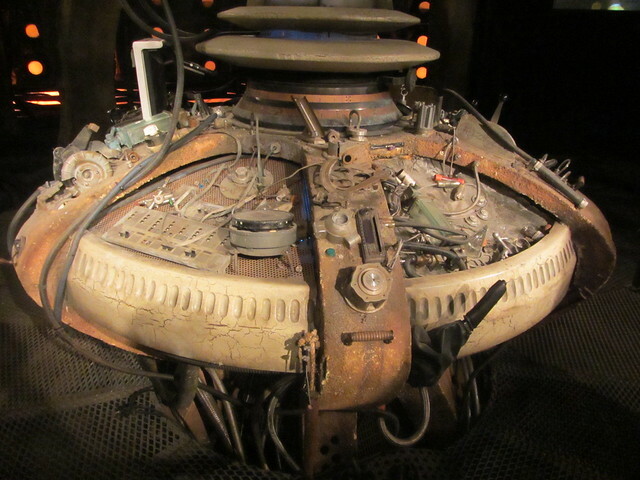 10th Doctors' TARDIS. 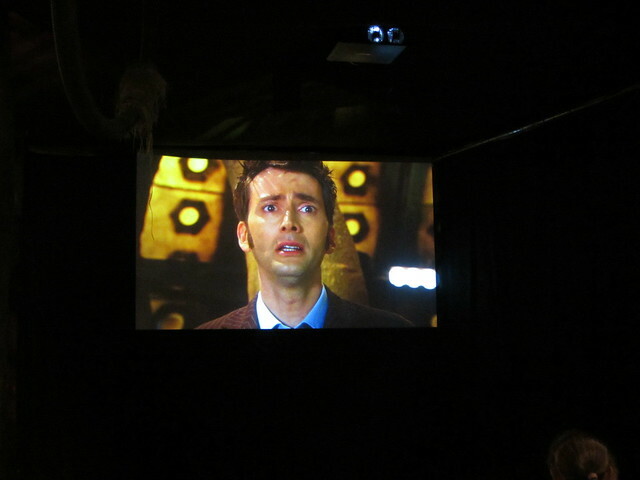 I'm not going to lie, I cried when I saw the regeneration on the big screen. *loser fan girl klaxon* 'I don't want to go' SOB. Don't think it gets much more pathetic than that. 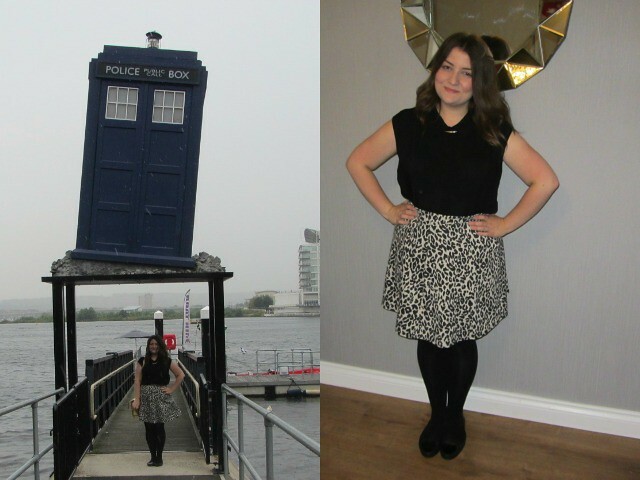 I went for lunch down Cardiff Bay after so I wanted to be a little smart so I donned my new skirt and my favourite comfortable but cute flat shoes. Even if you're not a huge Doctor Who fan I think an afternoon at the Experience would impress you. There's plenty to see and I will be going back again as the props are regularly changed. I'm also glad that the Experience has come back home to Cardiff, the show and spin offs are all filmed here and I think post 9th Doctors home is definitely in Wales. P.S. CAPALDI!! Are you excited?! This looks amazing! Love your new blog layout too! OMGH! AHHH!! I'm a Huge Dr Who Fan from Across of the pond, as they say, Omgh! that is Awesome, David Tennant is my fav too! looks like you had fun! I wish, I could go! Oh mega jel, I'd love to go to this! I'm really quite happy with the new doctor. I hadn't considered calpaldi in the slightest for the role but I like that he's older, I foresee a slightly less quirky and nuts doctor. Also your new blog design is lovely! Thank you, I think Gillian did a fab job with the design :) I'm happy with Capaldi too, he was fantastic in The Hour. A tardis in his garden? I must have one of my own!